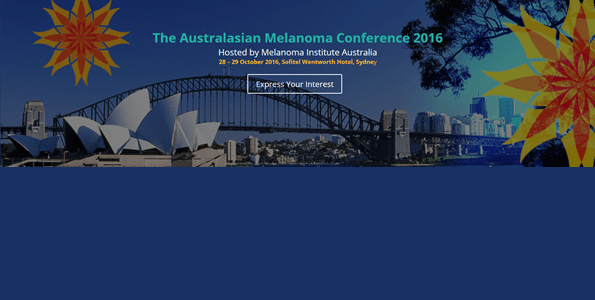 On behalf of the Organising Committee, it is with great pleasure that I invite you to attend The Australasian Melanoma Conference in Sydney this year. This conference will bring together melanoma researchers and clinicians to showcase current practice and research innovation and partnerships for better patient outcomes. In this exciting era of revolutionary melanoma treatment, this conference will be highly relevant to physicians, researchers and nurses. It is also an opportunity to build strong Australasian collaboration by facilitating the exchange of information and stimulating cooperation. I very much look forward to seeing you to Sydney in October.